Jeremy Corbyn's quickest route to Downing Street is an early election, not a second referendum. It's a frustrating time to be a Labour MP. When is it not, you may respond. But as the British government gives every appearance of suffering a breakdown and Theresa May's career seems to be hanging by an ever-fraying thread, the opposition benches must surely be wondering what might have been. Before the latest cabinet and junior ministerial resignations were prompted by the cabinet's approval of the draft EU withdrawal agreement, the polls were showing a surprising but fairly consistent lead for the Conservatives. After eight years in government and a colossal Europe-shaped fault line in the party that ministers weren't even bothering to disguise any more, this was unprecedented. This may change after yesterday, of course. It's likely that voters will turn away, at least temporarily, from the chaos they see unfolding at every turn from May's government and move, however reluctantly, in the direction of Corbyn's party. Perhaps in the age of Brexit, it is inevitable that all parties - or at least, all parties that aspire to government - find themselves divided and facing both ways on this issue in Britain. And while the spotlight is falling (rightly) on the British government, we should remember that Labour is every bit as fundamentally split over the EU as the Conservatives. While Labour's warring factions are finding common cause in attacking Theresa May and her ministers, the gaping differences between them on the way forward are being effectively obscured. For now, at least. The tensions between Corbyn and his shadow Brexit secretary, Keir Starmer, is an accurate reflection of the wider split in the party. While Corbyn relishes the prospect of being prime minister in a UK that is free from the EU's regulatory regime - particularly when it comes to the rules governing state aid and procurement policy - Starmer is an unambiguous supporter of both the former Remain campaign and its latest iteration as the campaign for a second EU referendum (aka a People's Vote). In this, Starmer represents many more Labour MPs than does his leader, and earned the appreciation and gratitude of the party far beyond Westminster when he defied the leader's office and inserted into his conference speech in September a commitment that, in the event of that second referendum, the option of remaining in the EU would be on the ballot paper. If it were up to Starmer - and, indeed, any alternative leader from the party's mainstream - the campaign for that referendum would be taking priority. 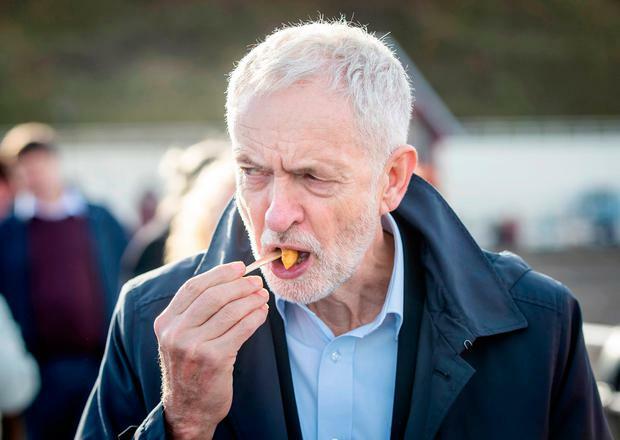 Much to Remainers' (and most Labour activists') frustration, Corbyn and his small team of supporters in the Commons have chosen instead to prioritise an early general election. This is no more than a sleight of hand, designed to deflect attention from the leadership's support for Brexit. Labour's real problems would arise if that illusive second referendum were actually granted. Consider the scenario: the Commons rejects May's EU withdrawal agreement. In frustration, the government (or what's left of it) puts the question to the people to decide. In such circumstances, it would be impossible not to include the option of cancelling Article 50 and remaining as a full member of the EU. This is the dream scenario of hard-line Remainers, but it is not the preference for Corbyn and his closest supporters. Faced with a three-way choice - Remain, Deal or No Deal? - how would Labour campaign? This is, for Corbyn, a nightmare scenario. His instincts would tell him to vote for No Deal but, as in the first referendum two years ago, he would be under pressure, not least by those who elected him party leader twice, to campaign for Remain. Yet he has repeatedly insisted that the 2016 result must be honoured. He even wrote it into the party's 2017 general election manifesto. Could he, with any credibility, perform a U-turn on that position and recommend a Remain vote? His MPs and party would certainly encourage him to do so. But those same party members who elected him to the leadership, despite their avowed pro-Europeanism, would forgive their hero if he let them down on this score again. In which case we would see the vast majority of Labour MPs campaigning on a different side from their leader. For all these reasons, Corbyn needs to keep the focus on a disintegrating government and the prospects of another early election, during which he can be fairly certain of maintaining a unity that would simply not exist during a referendum.